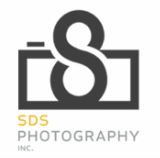 High School Seniors - SDS Photography, Inc. Since my work mainly centers around people and sports, senior pictures falls right into my expertise. This is a huge milestone in your child's life. Let SDS Photography help document these memories for you by providing wonderful images in high quality prints, wall-art and keepsakes. They are in the prime of their life. Let's capture these moments! When I do a senior session, I ask you to hold nothing back. I don't put time limits in or limit you to just one or two outfits. I will work with you until we think we have everything covered and your time permits. Bring items that identify personality, your first car, outfits, etc... I don't care! I just want you to have a large selection of images of this important time in their life!